The Methodological Expectations of Cochrane Intervention Reviews (MECIR) standards specify methodological expectations for Cochrane Protocols, Reviews, and updates of reviews on the effects of interventions. 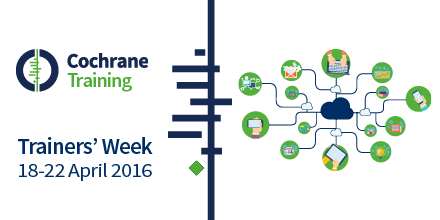 This methodological update webinar was presented by Toby Lasserson from Cochrane’s Editorial Unit as part of Cochrane's Trainers' Week 2016. Toby introduced the latest updates to MECIR, considers best practice and where the standards fit in the review lifecycle, and offers guidance and points of support for trainers looking to underpin and embed MECIR in the learning they deliver. A PDF of the slides from the webinar is also available for download.